Looking for apartments near Fairless Hills, PA? 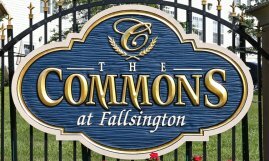 The Commons at Fallsington offers affordable apartments and townhomes in Morrisville. We're in a great spot to help you enjoy the pleasures of Bucks County, Trenton, and all our area has to offer. Grab a bestseller or dig your way through a pile of surprises at this temple of learning. You don't have to go to the shore -- these gourmet seafood dinners are the real thing. 1,711 acres of biking, picnicking, horseback riding, fishing, skating, arts education... Tyler State Park has it all. Regulars call this one of the area's best contemporary American restaurants. Want to know more about our available apartments for rent near Fairless Hills? Ask us.